Helical Model of Communication in emphasized the difficulties of communication. Frank Dance uses the form of a Helix to describe communication process. 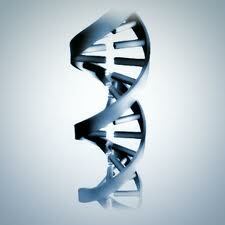 He developed this theory based on a simple helix which gets bigger and bigger as it moves or grows. 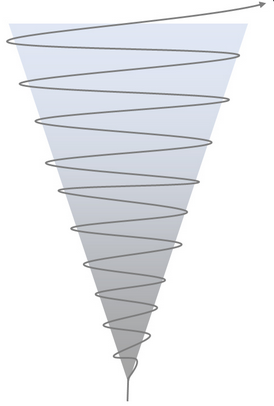 The main characteristic of helical model of communication is that it is evolutionary. According to the Helical model of communication, the process of communication evolves from the very birth of an individual and continues till the existing moment. All living entities start communicating from the very first day of their origin. When seeds are planted, they convey the message to the gardener that they need to be watered daily and should be treated well with fertilizers and manure. When a plant emerges from the seed it also starts communicating its need for water, sunlight, manure and fertilizers, thus supporting the Helical model of communication. Frank Dance explains the communication process based on this Helix structure and compares it with communication. In the Helix structure, the bottom or starting is very small then it’s gradually moves upward in a back and forth circular motion which form the bigger circle in the top and its still moves further. The whole process takes some time to reach. As like helix, the communication process starts very slowly and defined small circle. Communicators share information only with small portion of themselves to their relationships.